Chelsea, fresh off the back of their first pre-season victory away in Australia, will head to the south of France to take on the mighty Inter Milan in the International Champions Cup on Saturday evening for UK viewers. Blues fans can watch Chelsea vs Inter Milan live stream on UK channel Premier Sports. Virgin TV customers can watch Chelsea International Champions Cup games for free as Premier Sports will be giving a taster of its channel to Virgin subscribers. Sky customers however will have to stump up £9.99 for Premier Sports’ ICC coverage of Chelsea vs Inter Milan live stream. The channel is also available on an app and online meaning you can watch Chelsea’s summer pre-season clashes on the go. For a full reaction to the pre-season fixture head on over to CFCnet’s official page on Facebook. Chelsea have their new manager Maurizio Sarri in-place and signings such as Jorginho look set to give the Blues a new flavour for the upcoming season – kicking off against Manchester City in the Community Shield. 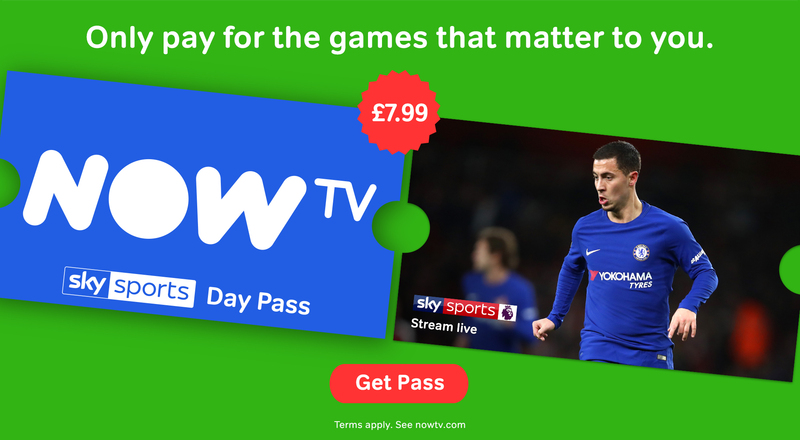 Pick up a NOW TV Sky Sports Day Pass for just £7.99 and watch Chelsea live stream – weekly and monthly passes are also available to all Blues fans so you never have to miss out on any of the action at home or on the road! The Blues have only met Inter Milan twice competitively in all competitions, way back in 2010 in the UEFA Champions League – on that occasion losing both legs to exit the competition. Eight years later the two will meet in a somewhat less-pressured environment of the International Champions Cup, a pre-season match that could give the fans a further glimpse of what Maurizio Sarri’s system will be like against the bigger teams in the Premier League this season. Chelsea start their ICC campaign in Nice to Inter Milan on the 28th July, followed by a 1st August London derby against rivals Arsenal in Dublin, with it all accumulating back at Stamford Bridge on the 7th August against French side Lyon.